and so on. It solved the problems of poor temperature resistant performance, ash leakage, air leakage, and so on. Multilayer fish-scale sealing pattern make a considerable improvement on air leakage and ash leakage of rotary kilns. sealing make the working life of rotary kiln sealing becomes twice. scales. In each layer, the scales are arranged in one piece overlaps another, which make the sealing effect better. 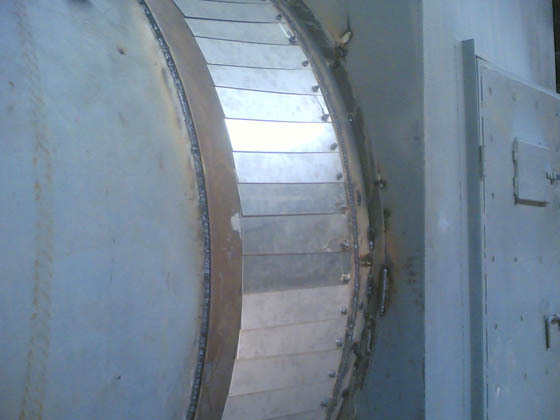 Kiln head sealing and kiln tail sealing of rotary kilns for chemical industry, metallurgy, building material, and so on. The inlet and outlet sealing of dry drum and single tube cooler. The working life in kiln head is 2-3 years, and the working life in kiln tail is 3-4 years.